How to Play 21 Card Game? How to Play Blackjack Free? How to Play Black Jack Online? How to Win 21 Card Game? If you have ever been to a casino or have the slightest bit of interest in the world of casino banking games, then you must be acquainted with the word blackjack. Also known as twenty-one, blackjack is currently the most popular brand of casino banking game in the world. Its popularity spreads from the United States to Europe to all the way to Asia. The game itself is not highly complicated, and that is perhaps one of the reasons why it has garnered so much attention and love from gamers around the world. In simple words, blackjack can be described as a comparing card game that takes place between the player and the dealer. Under this format, the players in the game do not compete with one another and instead try their luck against the dealer. a) Accumulate a total of 21 points on the first two cards. This is known as a blackjack. This will only earn the player a victory in the absence of a dealer blackjack. b) Acquire a final score that is greater than that of the dealer but less than or equal to 21. If the player exceeds the score 21, then a win is not registered. c) Allow the dealer to draw additional cards till the cards in his or her hand exceed the number 21. It is quite clear from the above description that the number 21 is central to achieving success in blackjack. The players are given a two card hand and the values of these two cards are added together. In this game (and in other casino banking games), some cards are referred to as face cards (kings, queens and jacks). When these cards are a part of your hand, they individually score you ten points. The value of the ace is variable. According to the rules of the game, the player and the dealer can take into account the value of an ace as either 1 point or 11 points depending upon the circumstances in the game and the context of play. The value of all the other cards, or in other words the score that you will derive from other cards, is the same as the numerical value that is displayed on the individual cards. For example, if you have a two card hand consisting of 5 of spades and 3 of hearts, then your total score will be 8. Once the first two cards are received, the players will be allowed to exercise the option of getting a “hit”. This is an in-game word for drawing an additional card from the deck. A win is earned when a player or a dealer has a score of 21 or a score that is higher than the opponent and less than or equal to 21. When a score higher than 21 is achieved, it results in a loss which is commonly referred to as busting or going bust in the blackjack community. The ace plays a very important role in the game as it prevents players from going bust. When a player has an ace card that is considered to have the value of 11 points, it is not possible for the player to go bust by drawing an extra card. In other words, the player has a soft hand, and is in a temporary state of immunity from defeat. When 11 is added to the value of any other card, the outcome is supposed to be always less than or equal to 21. In the case that the player has no ace cards in the hand, the hand is referred to as “hard” and the player is left vulnerable to busting. In accordance to the general rules of blackjack, the dealer is supposed to hit until the value of the cards is equivalent to 17 or more. In certain casinos, the dealer is allowed to hit on a soft hand which has a total value of 17. If the dealer’s hand has a lesser value than the player and if the player succeeds in not going bust, then the dealer loses out in the game. 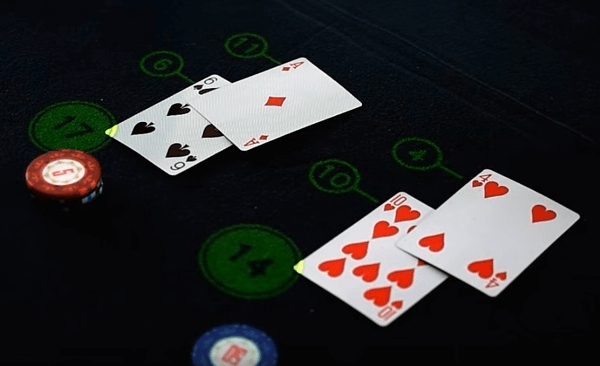 In the case that the dealer and the player register the exact same score, “push” takes place, which results in the player neither winning nor losing the money at stake. The United Kingdom is no stranger to gambling facilities. According to reports, there are approximately 139 places for gambling in the Britain. 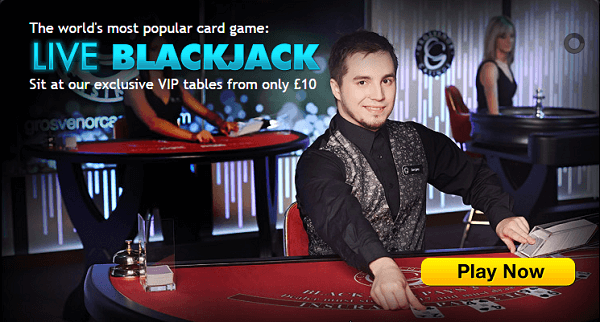 Blackjack happens to be one the most popular casino banking games in the United Kingdom if not the most popular. It is a favourite among both the beginners and the veterans in the game, and is the kind of gambling that is enjoyed by both young adults and senior citizens in the United Kingdom. 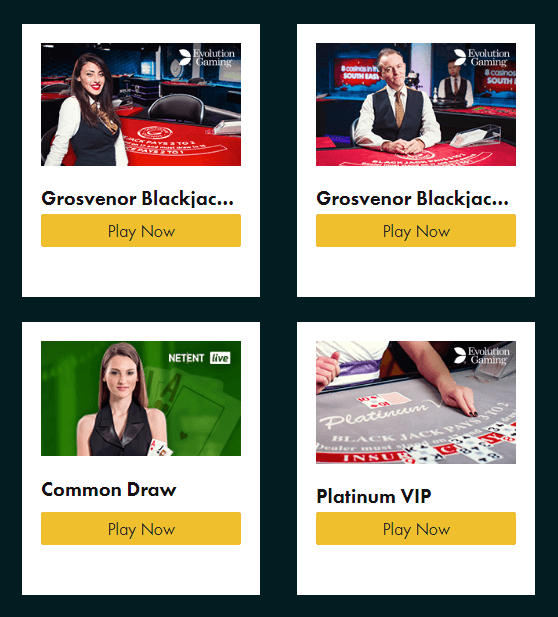 If you want to know how to play blackjack in the UK, you need to first familiarize yourself with the consistent rules of blackjack in UK. a) The game is usually played with 4-6 decks. However, some casinos prefer playing with 8.
b) The dealer is known to stand on soft 17.
c) There is no provision for a dealer hole card. In the case that a dealer gets a blackjack, the player loses everything. d) You can pull off a double after the split. e) There is no scope for the players to surrender or pull out during the middle of the game. f) There is no limit to the number of times re-splitting is done. This includes re-splitting with aces as well. g) You will notice hand shuffling in most casinos and the average penetration rate is about 75%. A continuous shuffler is always used in certain casinos in the United Kingdom.